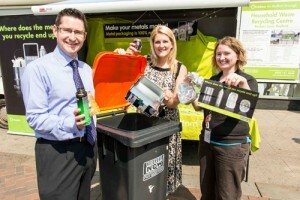 Bedford Borough Council was keen to boost its recycling performance and make a positive impact on its carbon footprint through the implementation of a metals recycling campaign. MetalMatters led to the capture of an additional 78.8 tonnes of metal packaging and a saving of an estimated 364 tonnes of carbon. The extra revenue generated resulted in the cost of the campaign being paid back in just nine months. The programme was a partnership funded by DCLG’s Weekly Collection Support Fund and MetalMatters industry funding partners. Campaign delivery cost: 33p per household.